LOS ANGELES (July 6th 2013) woodrowgerber begins production on his live show that will combine his standard live performance while progressively moving into an EDM DJ set. In a struggling music industry woodrowgerber has managed to create an international following through free albums, viral marketing, and live tours. With growing fan bases across the US, UK, Germany, Sweden, Australia and China, his band is tentatively preparing upcoming tour dates in the US and UK. 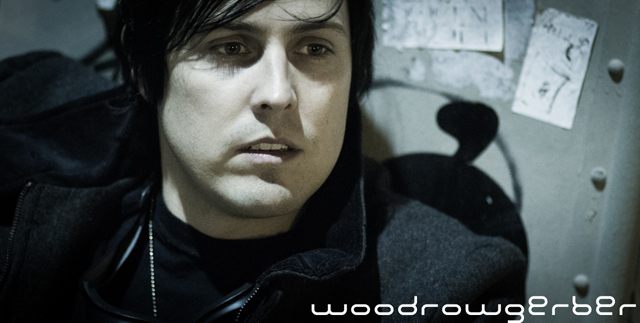 woodrowgerber is a guitarist, producer, songwriter, composer, and frontman who has made a name for himself in the underground music scene through several album releases, collaborations with indie labels, varying bands and projects. He has worked with multiplatinum selling artists and performed on the Vans Warped Tour with his band The Suicide Denial. woodrowgerber is Chad Gerber based out of Los Angeles California.